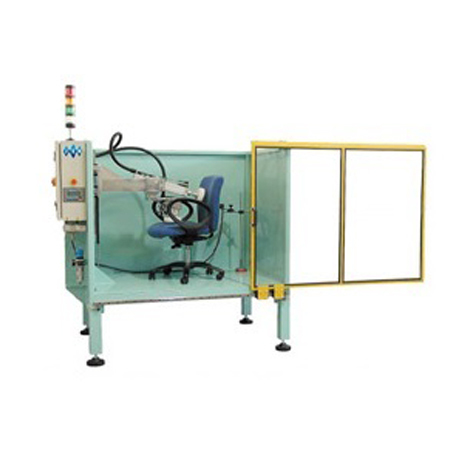 Chair Back Tester｜Furniture Tester｜TECview Industrial Co., Ltd. According to test Standard:BIFMA X5.1-2002, Test No. 5,6,10,12,15, 16. Applicability: This test applies to all types of chairs. Purpose of Test: To evaluate the ability of a chair to withstand stresses caused by the user exerting a rearward force on the backrest of the chair.